New attachers have responsibility for all make ready work under the policy, replacing the old system in which multiple contractors (including pole owners and previous attachers) often performed parts of the work. In this new environment, it is critical to identify pre-approved contractors that are capable of doing the work effectively, accurately, safely, within required codes and regulations, and within any other reasonable requirements set by the pole owners. In a white paper published by the FCC, electric utilities reported finding that more than 13% of all attachments were in violation. With nearly 41 million distribution poles in the U.S., that meant that more than five million poles could be in violation. 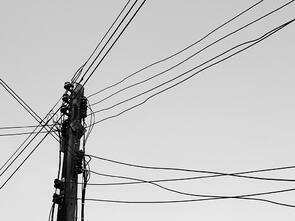 Unauthorized or non-compliant pole attachments "can and do cause accidents, and in fact, a number of utilities reported accidents involving trucks snagging low-hanging communications lines," according to the FCC's white paper. Why Are Pre-Approved Contractors Necessary? The FCC’s new OTMR policy encourages pole owners to create their own lists of pre-approved contractors, but it doesn’t require that they do so. When the attachers are not provided such a list, they may use the criteria spelled out in the FCC’s order in selecting contractors. While there is no nationally-regulated standard training or certification required to work as a power line operator, each state has different requirements and licensing. It is important that selected contractors perform make ready work in alignment with local, state and federal codes and regulations, safety requirements, codes and training laws. Adherence to Codes & Regulations: The Federal Communications Commission (FCC), the National Electrical Safety Code (NESC), state public utility commissions (PUCs) and public service commissions (PSCs) all have put into place different sets of codes and regulations specific to joint use. FCC regulations typically relate to setting pricing models, regulating fees, and dictating boundaries of conduct between attachers and pole owners. NESC sets codes for how lines and equipment are to be attached, such as how many inches of separation must exist between wires and equipment. Safety: To protect workers and the public from the danger of high-voltage current running through power lines, the NESC sets guidelines that encompass minimum clearances around and beneath distribution and transmission lines. The guidelines also determine line height requirements, maintenance of facilities no longer in service, and provisions for emergency installations. Training: States have different laws on the need for journeyman linemen to be licensed. Power line workers can take between three to five years to complete apprenticeships and move to the journey level, where they can expect to work unsupervised in most job tasks. Once someone has reached journeyman status, they may need to take the extra step of getting licensed by the state, depending on the state's laws. The significant risks for companies that do not comply with these codes and regulations include hefty fines and the potential liability and expensive legal disputes in association with any accidents or harm that occur. The new OTMR policy also includes procedures by which pole owners and previous attachers may address unsafe or unsatisfactory work by the new attachers’ contractors. Infrastructure asset management involves a laundry list of entities, from pole owners to attachers, engineers, linemen, municipalities and third-party contractors. When pole owners identify approved contractors that have been vetted for make ready work, it can be time-consuming and confusing to provide the names and contact information for those approved contractors to all of those involved. More often, these contractors are stretched past their limits with work, meaning there is already an inherent disadvantage when time is concerned. As changes occur to the list of approved contractor companies or individual contacts within those companies, it is important to keep records updated and easily accessible. With so many new players in the joint use space vying to get revenue-generating equipment up and running, a centralized pole database makes current data about pre-approved contractors easily accessible and provides clear communications to all parties involved. Access to a central pole database can be given to attachers and company-approved contractors responsible for make ready work to enable a single location for communications related to make ready projects. This kind of web–based software facilitates direct, paperless communication among owners, attachers and contractors in addition to storing and archiving communications such as important contacts, contracts and agreements. Contractor coordination is only one of the challenges of joint use management under a "One Touch Make Ready" system. A managed services system can help streamline and optimize joint-use management obligations, from property management to inventory updates, partner communications, and more.